Snapchat’s redesign separates conversations with friends from a feed of content from professional publishers and public figures. Depending on how users respond, the redesign will have an either negative or transformative effect on Snap’s young business. Snapchat has a problem: It’s too confusing for many people to use. The solution: A major overhaul of the app’s design that could prove to be either a stroke of brilliance or a misguided effort to placate Wall Street’s hunger for growth. With the redesign, which Snap said will be available to users over the coming days, all messages from friends will be shown to the left of Snapchat’s main camera. To the right of the camera will be a so-called Discover feed of algorithmically-sorted content from media partners, celebrities, and other vetted public figures. By separating all professional content from conversations with friends, Snap is betting that its 178 million daily users will seek out the new Discover section for news and entertainment. Since launching in 2015, Snapchat’s Discover hub for media brands has been intertwined with disappearing posts shared by friends. 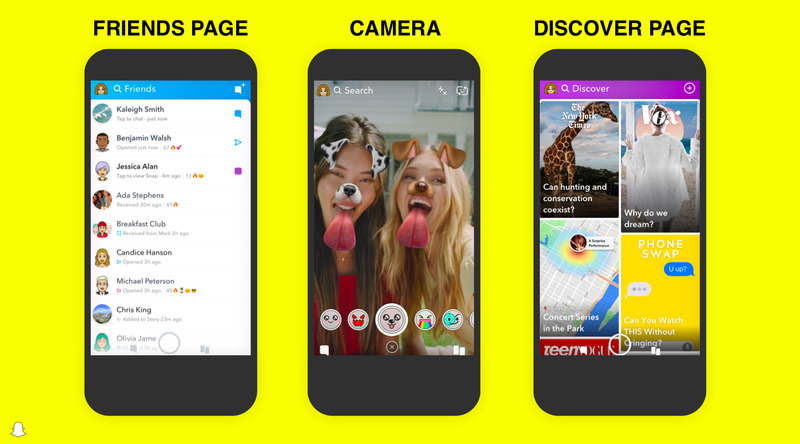 SnapSnapchat’s redesign in three screens. Snapchat has no track record with algorithms.The new friends and Discover sections will both use algorithms to surface relevant content, a system that Snap has no history implementing. Conversations with friends will be ordered by who Snap thinks you are “closest to,” which is vague enough to possibly leave many wondering why some friends are shown above others. The Discover section will sort content based on what you’ve viewed in the past rather than Facebook’s approach of also incorporating what your friends are viewing. But because Snapchat has never sorted content this way, the experience for users could be jarring and not well optimised. If people stop looking at Discover, ads become less valuable. Media brands that produce content for Snapchat Discover rely on ads to fund their efforts. If Snapchat users spend more time chatting with friends on the app than viewing Discover content, the app’s content business implodes. Snap said in May of this year that 100 million users viewed Discover per month on average. 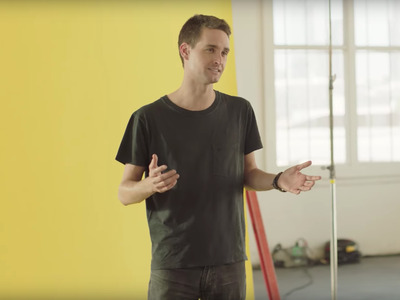 Snap is better to able target users with Facebook-style ads. Until now, Snapchat has lacked the News Feed-style ads that Facebook pioneered. With the new Promoted Stories ad format, Snap could eventually run targeted ads in the Discover feed that look and feel similar to the kinds of ads that already exist on bigger platforms. Promoted Stories are currently screen “takeover” ads that Snap sells directly, charging a premium price for the ability to target all the users in a specific country. According to a source close to the company, the ads will eventually be targetable and available at auction.